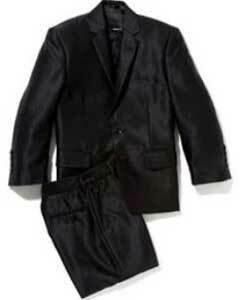 Little kids that are readying for their birthdays will brim with beauty when they wear branded readymade kids black suit. 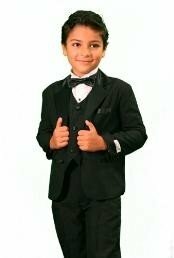 Children can wear suits for family functions, school anniversaries, stage shows and other competitions and showcase their status in a wonderful manner. 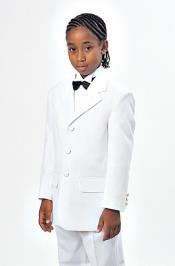 Black children suits which are popular among kids come with blended fabric, stylish buttons, long sleeve and rich lapels. 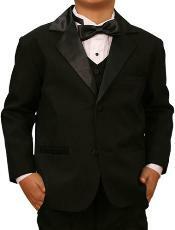 It is worth to note that full-sleeve single-breasted childrens black suits are crafted with polyester fabric and other spectacular embellishments. 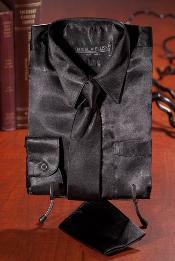 Parents can gift baby boy black suit to their tint-tots and strengthen their relationship quickly. 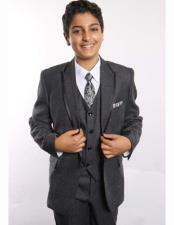 Boy suits come in various sizes and one of the famous outfits that are constructed wonderfully is boys black suit size 8. 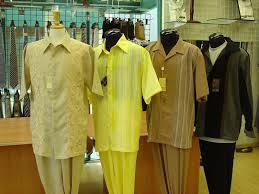 Boys should pair this suit with premium branded white shirt and black pant. They can also wear other costly and luxurious jewelries and watches. 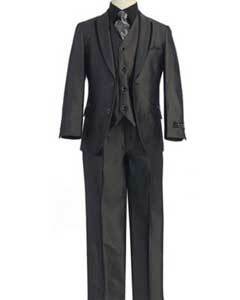 Tuxedo suits and shirts are also gaining immense popularity and majority of the children showcase interest to wear boys black suit size 7. 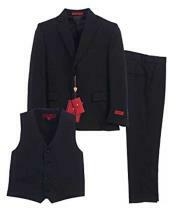 Teens that wear black suit should complement it with red bowtie, sport shoes, black pant and white branded shirt. 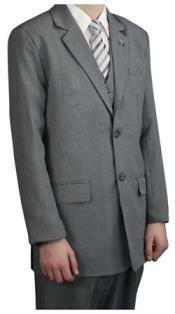 Boys' well get back their confidence and walk boldly on the stage when they wear well-stitched or readymade suits. 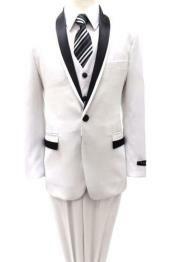 School children that at are taking part in cultural events will look elite when they wear black and white striped suit boys. Festive seasons are not far away and visitors should decide to wear black suits, eyeglasses, vests, shoes, bowties and other accessories during Christmas and New Year and mingle with others happily. 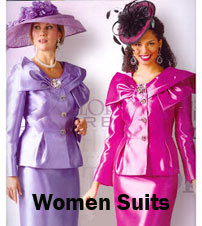 Teens will look descent and stunning when they wear formal black suits. 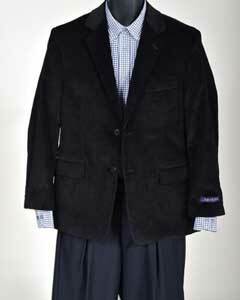 Five piece black suits are also worn by children since these products come with stylish jacket, adjustable necktie, point collar and solid vest. 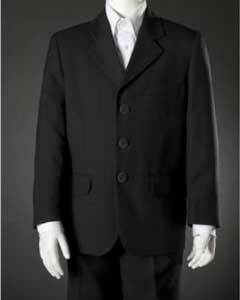 Partying with others will be a fun when children wear these types of black suits which come from the branded companies. 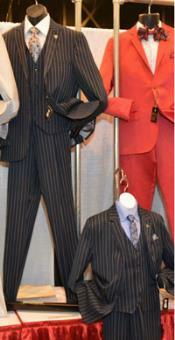 Suits quickly elevates ones look and makes the wearer influential. 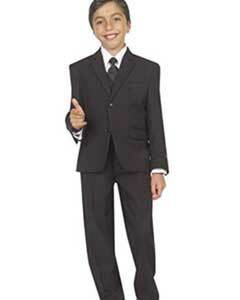 Tall boys with white complexion should wear black suits during formal school events and get red carpet welcome. 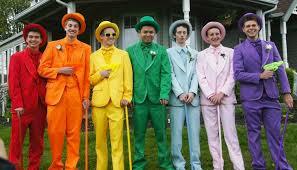 Fashion boys that wear suits will win prizes when they take part in the school events. Explore the category the boy in the black suit summary before taking further actions. 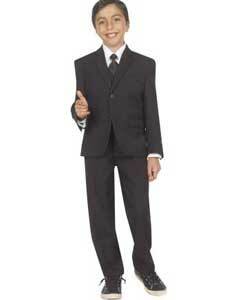 Smart kids that wear black suits can also wear pink or blue branded shirts under them and walk with pride. They will happily mingle with guests and family members during birthdays, family get-together and other such events and captivate others heart. 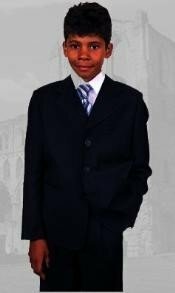 Slim and black skinned boys will look smart and suave when they wear premium quality formal black suits, vests and pants. 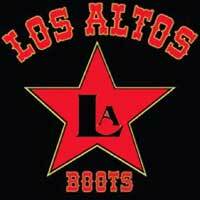 Guys that wear black and blue combinations can get ready for photo shoots and live recording sessions. Children have realized the importance of dressing and showcase interest to wear formal suits which come with stylish embellishments and solid lapels. 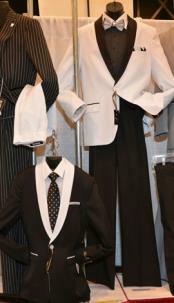 Children also like to wear suits during wedding ceremonies and other festivals. 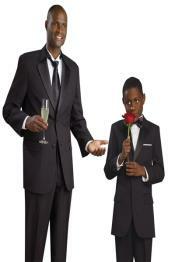 Attending swanky and extravagant event dinners will be a great fun when children wear suits.